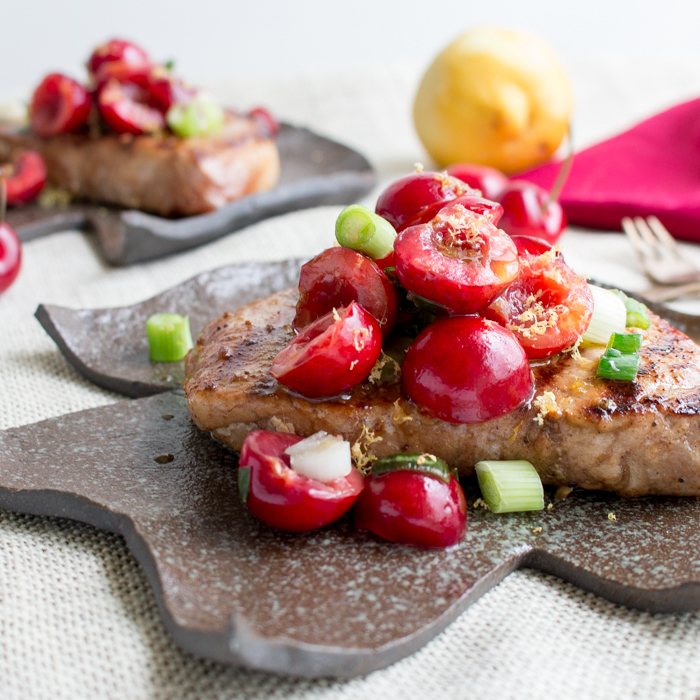 Grilled five spice pork loin chops are juicy and tender melt in your mouth pork seasoned with Chinese 5 spice, soya sauce, fresh garlic and a dash of balsamic vinegar to balance the flavors. 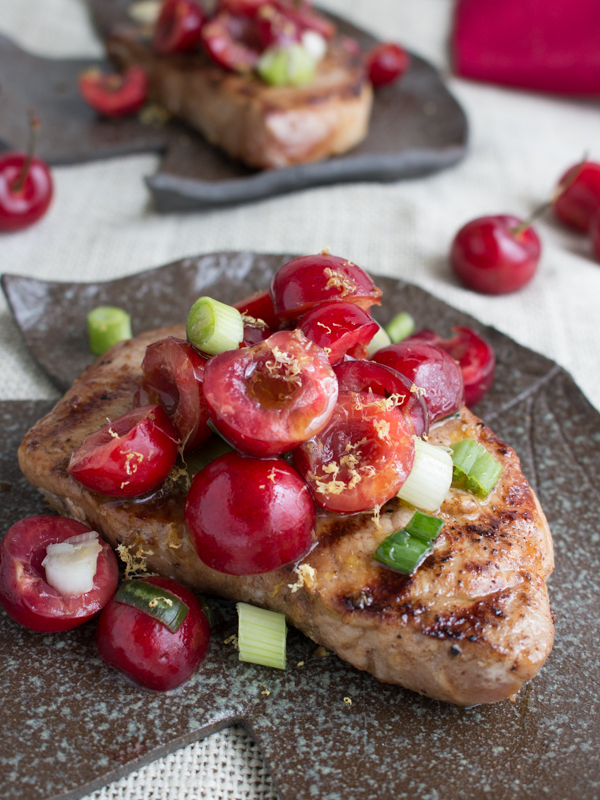 Grilled five spice pork loin chops are just the BOMB if you top with our Cherry Ginger Salsa. 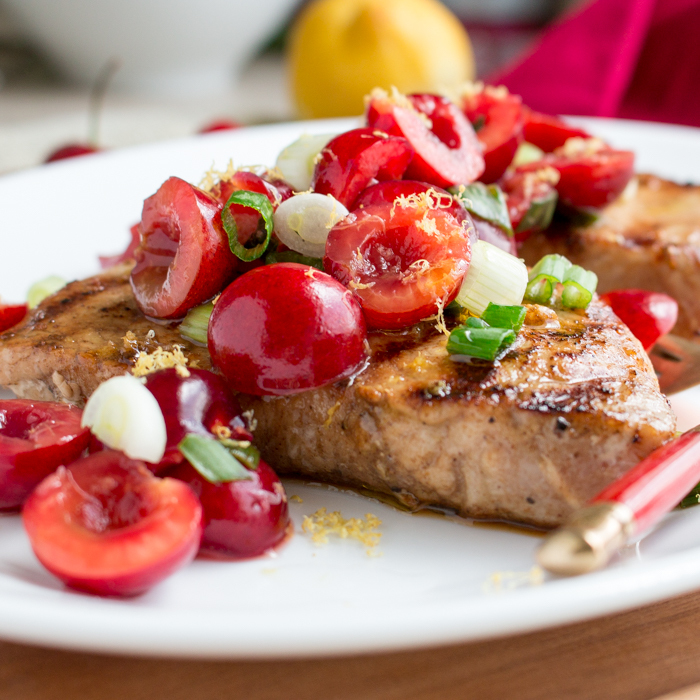 You are just going to love that that little bit of sweet, spicy and bright fresh flavors of the citrus of the cherry Ginger Salsa with the savory spice of the grilled five spice pork loin chops. The secret is in the marinade. Just grab a sealable baggie and drop in your pork loins, olive oil, dash of tamari or soy sauce, Chinese five spice powder, fresh garlic and a dash of balsamic vinegar and you are good to go. 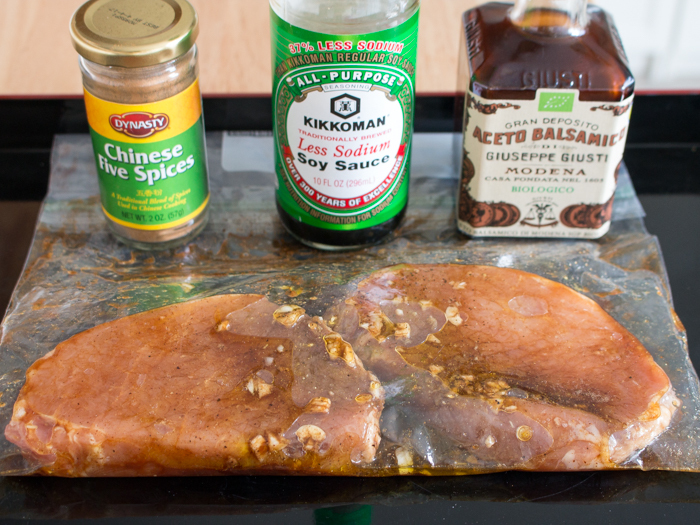 If you have time to marinade overnight fantastic, if not at least 2 hours is optimal. How many of you like a little something sweet with their pork? 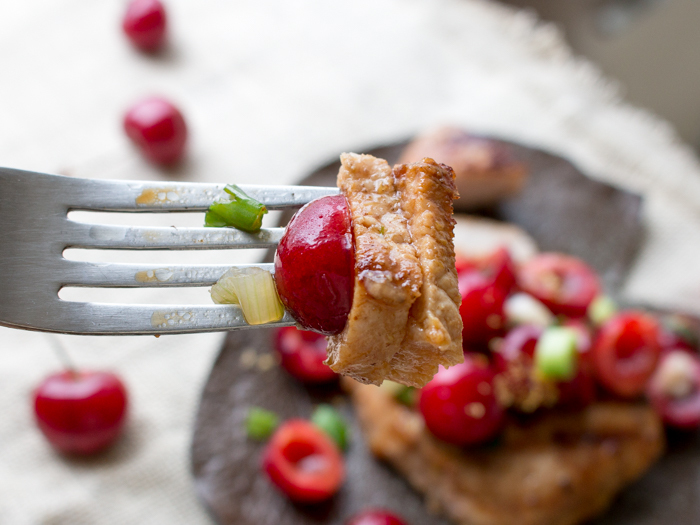 Maybe in the winter you would have grilled apples or cranberries but in the summer, we need to lighten those flavors with the fresh seasonal fruit and that is CHERRIES. 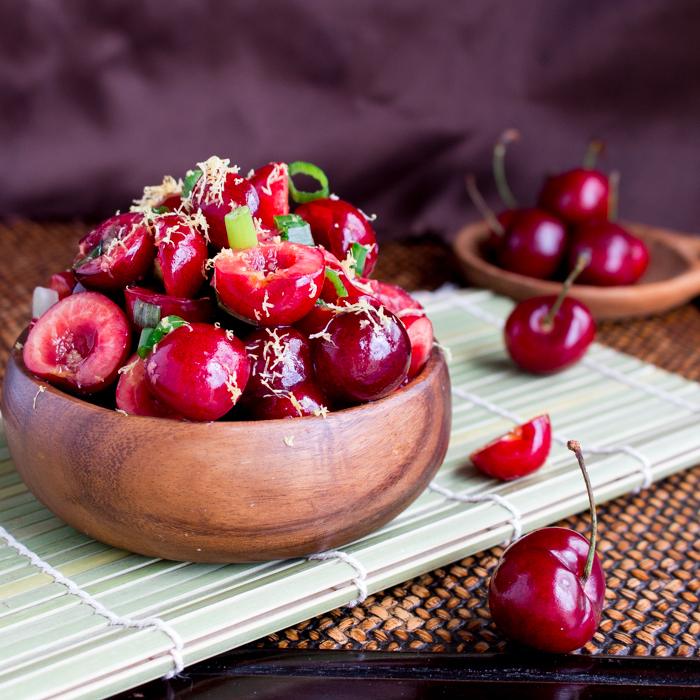 We have been waiting for cherry season all year long and now it is here. Let’s celebrate! It is time for summertime grilling season to commence! There are so many benefits to cooking on the grill. We keep the mess outside. The grilling adds a delicious charred flavor to the dishes. Anyone can grill! Grilling outdoors tastes even better with a cocktail or beverage in one hand and your grilling tongs in the other. You can be outdoors with the rest of the party then being trapped in the kitchen when the party is outdoors. You can do all the prep in advance. Gosh, I guess we could keep going. If you need more incentives, head on over to check out our Summer Grilling and Chilling Recipes. 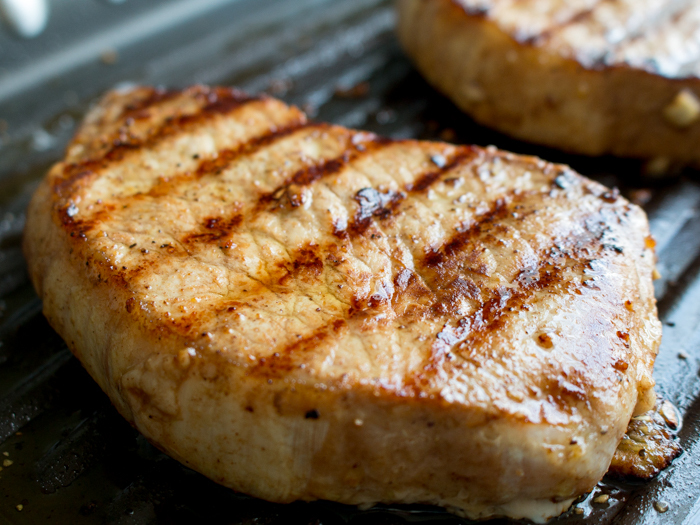 If Mother Nature is not cooperating with your cook out plans, this Grilled Five Spiced Pork Loin chops are just as delicious in a grill pan or cooked in a skillet on top of the stove. We love adding a little Steak Seasoning, salt and course black pepper or Mrs. Dash while it is grilling to finish off the dish. Do you know what the five spices are in Chinese 5 spice powder? These 5 little spices make the grilled five spice pork loin chops pop. This spice can be strong so I would keep it to just a teaspoon to start with. It is not spicy but just very aromatic. 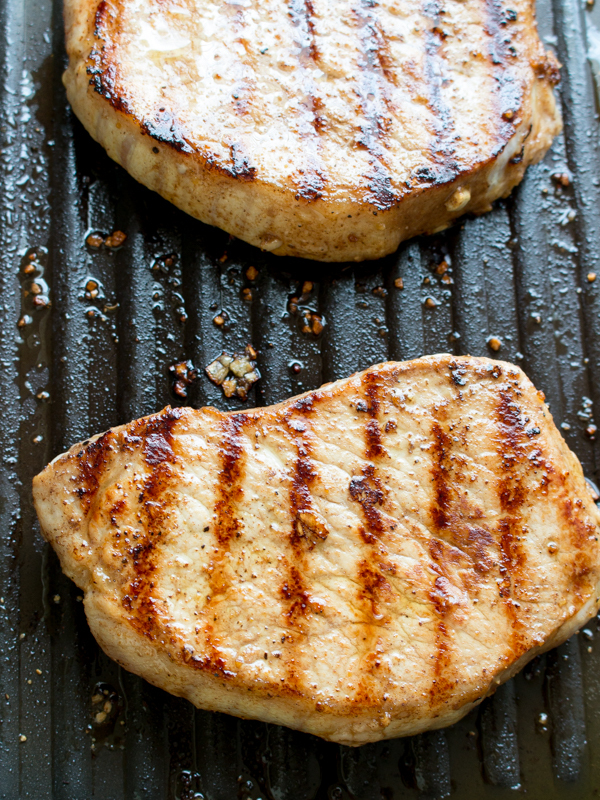 We know you are going to be the king or queen of the grill with this easy grilled five spiced pork loin chops recipe in your recipe repertoire. If your looking for other recipes for the other white meat then you may like to try our Turmeric Pork Skewers and Thai Basil Dipping Sauce or our Bacon Wrapped Sauce Stuffed Pork Tenderloin. 2Take the marinated pork loin chops out of the refrigerator for at least 20 minutes to allow to come to room temperature. 3Preheat grill, place marinated five spiced pork loin chops on the grill. Season both sides with steak seasoning (or salt and pepper or Mrs. Dash) to taste. Cook for approximately 4 minutes on each side total of 8 minutes depending on the thickness of your pork loins. The goal is to bring your pork to 145 degrees F internal temperature and then take off grill and let rest for 5 minutes. If you have bone in chops they will need a few more minutes longer to cook. 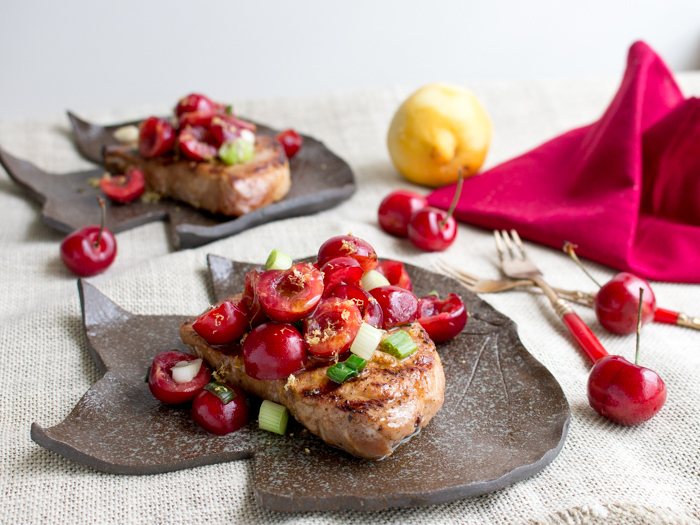 4Top your grilled five spiced pork loin chops with fresh cherry ginger salsa and enjoy.